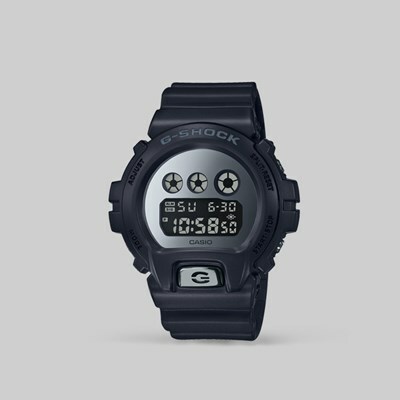 This G Shock timepiece combines the power efficiency of Tough Solar with timing precision. 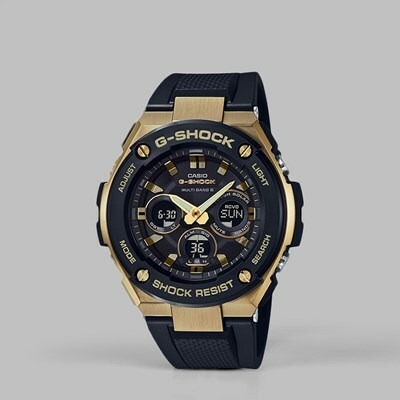 The watch features a countdown timer, stopwatch and World Time function which allows for global time synchronisation. 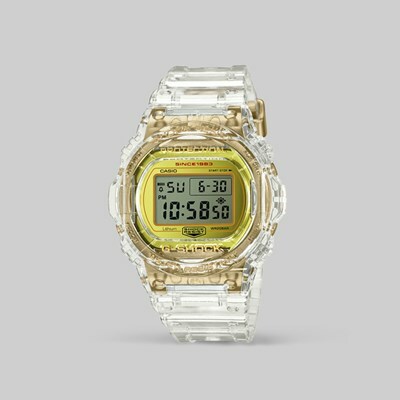 The piece is housed in a shock resistant resin case and is framed by scratch resistant mineral glass, water resistant to 200m. 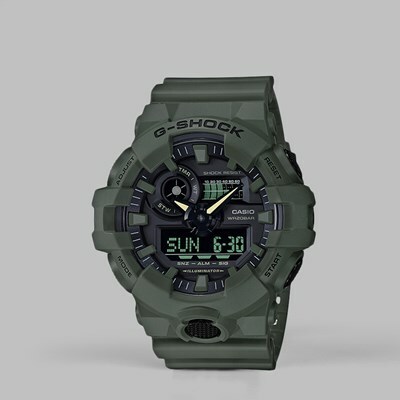 Suitable for everyday and sport styling. 12/24 Hour Format - Times can be displayed in either a 12- Hour or 24 Hour Format. 5 Daily Alarms - The daily alarm reminds you about recurring events with an acoustic signal at the time you have set. 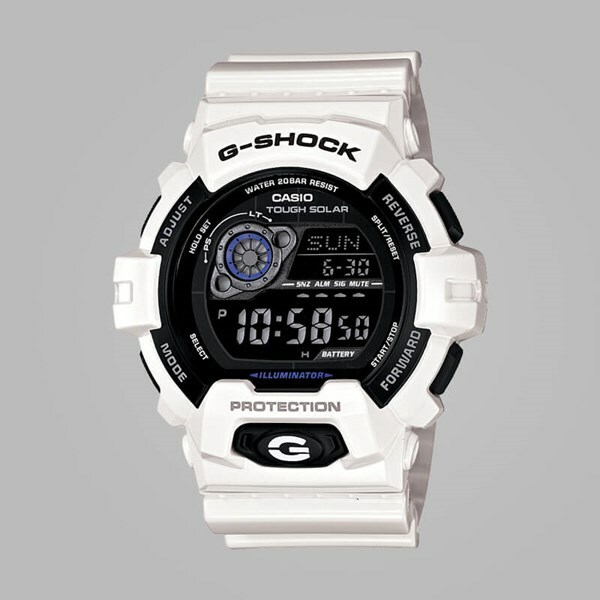 You can also activate hourly time signals (each hour). This model has 5 independent alarms. Auto-Calendar - Allowances are made automatically for leap years and months of different lengths. 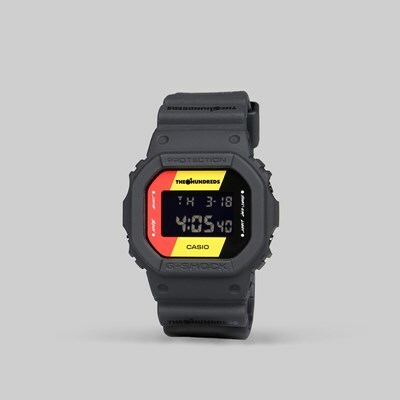 Water Resistant - 200 Meter / 20 Bar, 20 Bar Water Resistant means that the watch is also suitable for swimming or snorkelling World Time - Displays the current time in major cities and specific areas around the world. 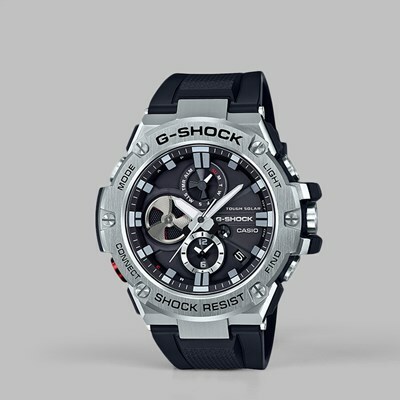 Shock Resistant - Shock Resistant construction protects againt impact and vibration.